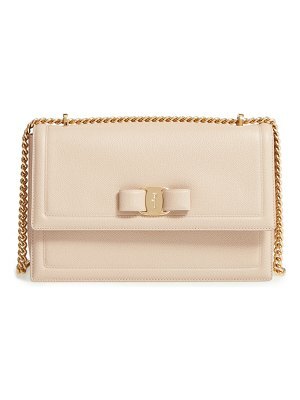 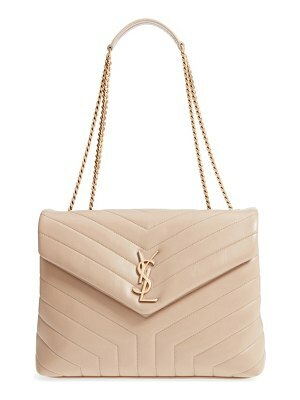 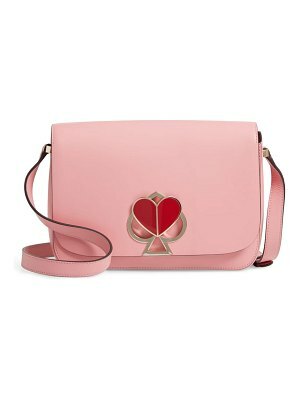 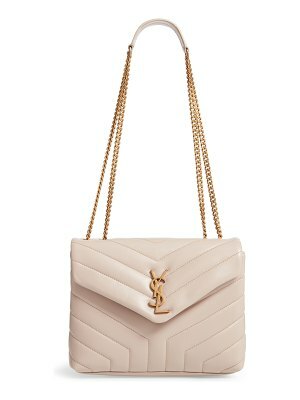 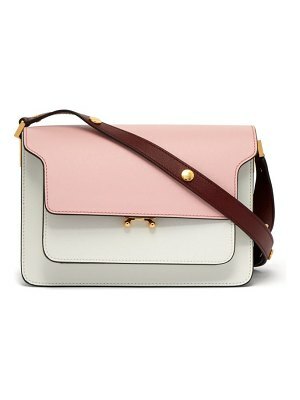 Saint Laurent - Saint Laurent's sophisticated Parisian eye informs this champagne-pink leather Loulou shoulder bag. 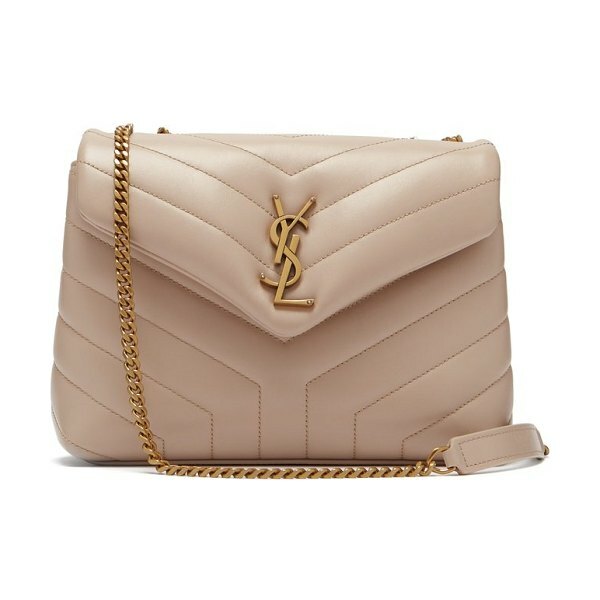 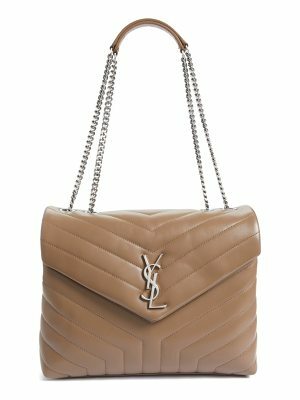 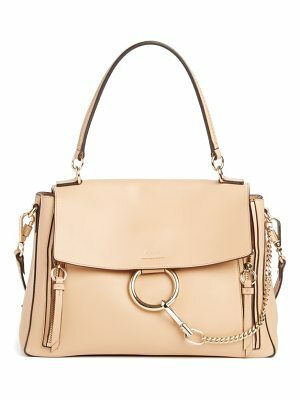 It's Italian-crafted with tactile chevron quilting and features a gold-tone metal YSL monogram plaque on the envelope-style flap. 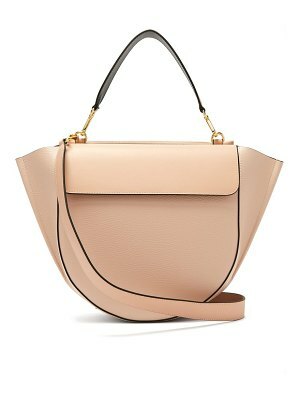 Let it imbue muted winter edits with a considered feel.